RENO, NV. (September 26, 2013)–Protect Mustangs, the California nonprofit, dedicated to protecting native wild horses and Citizens Against Equine Slaughter (CAES), the Oregon nonprofit, won their lawsuit against the Bureau of Land Management (BLM) and the United States Forest Service (USFS). The groups fought for public transparency and to halt the government’s two-year roundup agreement. 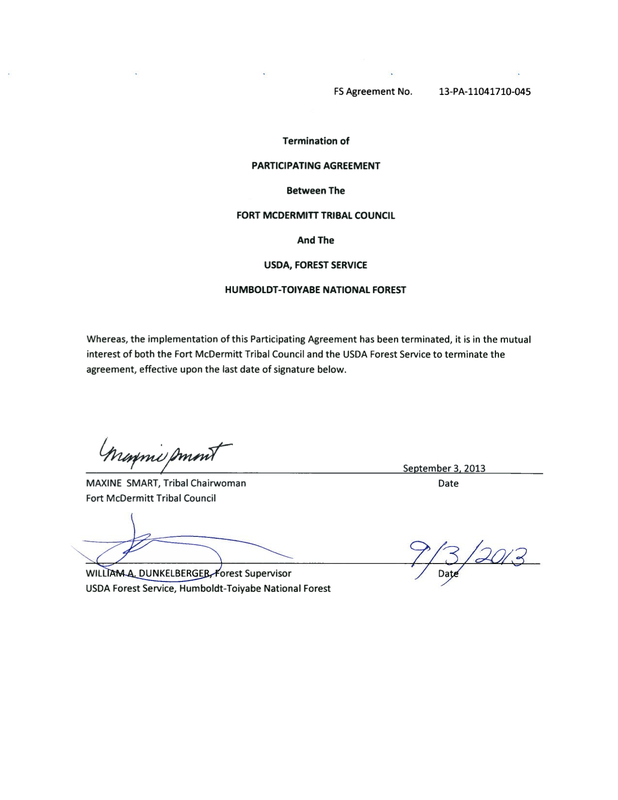 The United States Forest Service and the Fort McDermitt Tribe signed a Gather Agreement on May 30, 2013, which directed taxpayer dollars and federal personnel to illegally roundup unbranded, wild, free-roaming horses on Humboldt-Toiyabe National Forest lands and tribal lands until May 31, 2015. However, as a direct result of the complaint and injunction filed by Protect Mustangs and CAES, the USDA Forest Service terminated the Gather Agreement on September 3, 2013. 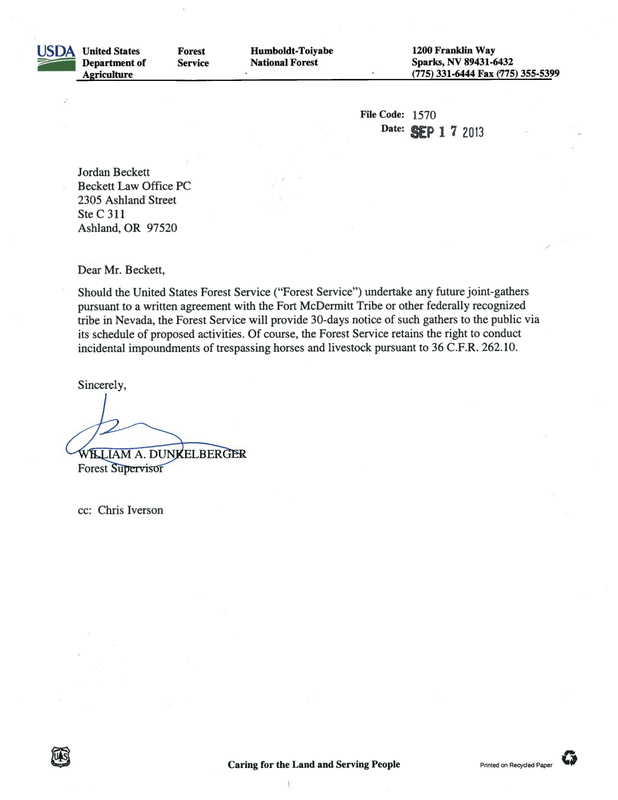 The groups specifically requested the court order “the USFS and the BLM to withdraw the Notice and 2013 Horse Gather Agreement until such time as the agency demonstrates to this Court that it has adequately complied with the law.” Instead of litigating the legality of the Gather Agreement, the USFS did exactly what the two groups requested and terminated the Agreement. 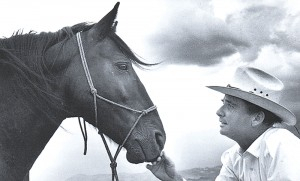 “It’s unfortunate the first McDermitt roundup wasn’t stopped before horses were sold at auction, but we’re glad we got rid of the underlying Agreement that made the McDermitt roundups possible and authorized an undisclosed number of similar roundups until May of 2015,” explains Dr.Lester Castro Friedlander, DVM, president of Citizens Against Equine Slaughter. Academy Award-winner and member of Protect Mustangs, Michael Blake (Dances with Wolves), stated in his declaration that he received “great inspiration watching wild horses roaming free in Nevada”. He believes if they are rounded up, removed, killed or slaughtered he would suffer harm by loosing that inspiration. Blake is pleased the two year roundup agreement was terminated. Protect Mustangs is a nonprofit organization devoted to protecting native wild horses. Their mission is to educate the public about the indigenous wild horse, protect and research American wild horses on the range and help those who have lost their freedom. Citizens Against Equine Slaughter is a nonprofit organization dedicated to the protection of America’s wild and domestic horses. Protect Mustangs and Citizens Against Equine Slaughter were represented in this case by Jones Law Firm of Reno, Nevada and Beckett Law Office of Ashland, Oregon. “I’d like to know, where are all the wild horses?” ~Dr. Lester Castro Friedlander, DVM. Below is an excerpt from Dr. Friedlander’s comments today at The Wild Horse & Burro Advisory Board Meeting in Arlington, Virginia. 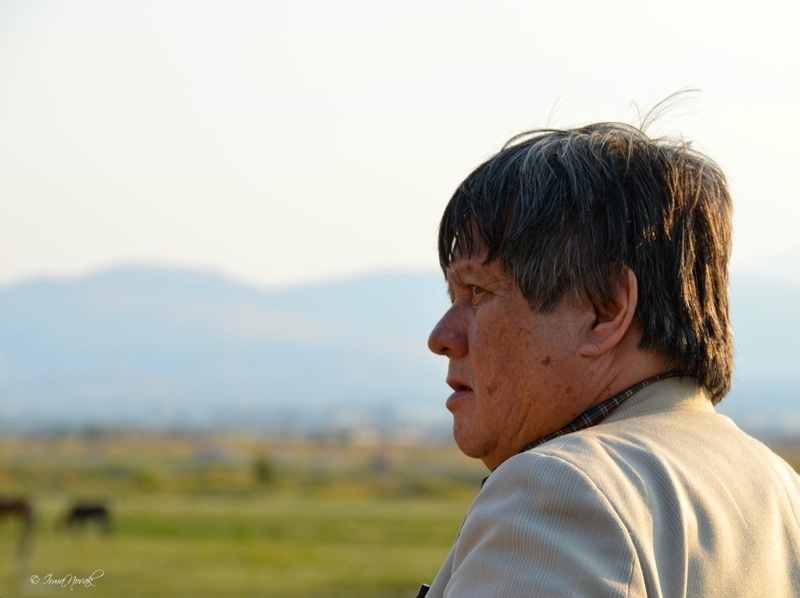 “I just returned from an extensive trip to observe wild horses in their natural environment as well as in captivity. After traveling hundreds of miles in California and Nevada on the Twin Peaks and Pine Nut ranges, I’d like to know what all the overpopulation hype is about? I only saw one band of 4 horses, including 1 foal in the Pine Nuts range and 10 wild horses in the Twin Peaks 800,000 acre range. Out of the 10 wild horses I saw only 2 that were foals.
. . . I am here today to call for an immediate moratorium on all wild horse and burro roundups so the government will conduct population studies on each herd management area in the West. Protect Mustangs and Citizens Against Equine Slaughter file preliminary injunction Friday. RENO, NV. (August 24, 2013) — Academy Award Winner Michael Blake, author of Dances With Wolves, and member of Protect Mustangs, joins Citizens Against Equine Slaughter and Protect Mustangs versus The United States Forest Service, a department of the United States Department of Agriculture; Jeff Ulrich, Santa Rosa District Ranger; The United States Bureau of Land Management, a department of the United States Department of the Interior, to stop alleged illegal and continuous roundups of federally protected wild horses and burros through the duration of the agreement ending on May 31, 2015. Attorneys, Jordan Beckett, of Ashland, Oregon and Charles A. Jones, of Reno, filed a preliminary injunction friday to safeguard federally protected wild horses in the vast Humboldt-Toiyabe National Forest. Blake states in his declaration he has received great inspiration, for decades, watching wild horses roaming free in Nevada. He believes that if they are rounded up, removed, killed or slaughtered, he would suffer harm by the loss of his inspiration. Blake is a long time admirer of the american wild horse. His book and acclaimed screenplay Dances with Wolves prominently features horses in the American West. In the early ’90s he commissioned the first independent aerial survey of wild horses. They found the population on the range was much lower than the BLM’s overpopulation claim. This summer the National Academy of Sciences announced there is no evidence to support the BLM’s rampant chant alleging overpopulation. Protect Mustangs has called for a moratorium on all roundups in order to conduct scientific population studies before using widespread fertility control. The conservation group is concerned wild horses are being managed to extinction by the BLM–the agency put in change of allegedly protecting America’s iconic wild horses. “We are very thankful people have come together to save wild horses from auction but we never want to see this happen again,” says Dr.Lester Castro Friedlander, DVM, president of Citizens Against Equine Slaughter. Esteemed wildlife biologist and author, Craig Downer, a member of Protect Mustangs, filed a compelling declaration filled with details from decades of studying the area. Protect Mustangs and Citizens Against Equine Slaughter are challenging the entirety of the USFS decision authorizing an undisclosed number of roundups and an undisclosed number of horses to be removed from the range over the next two years. They filed their original complaint on Friday, August 16, 2013. Protect Mustangs is a California-based non-profit organization devoted to protecting native wild horses. Their mission is to educate the public about the indigenous wild horses, protect and research American wild horses on the range and help those who have lost their freedom. Citizens Against Equine Slaughter is an Oregon-based non-profit organization dedicated to the protection of America’s wild and domestic horses. RENO, NV. (August 16, 2013)–Protect Mustangs, the California-based conservation group, dedicated to protecting native wild horses and Citizens Against Equine Slaughter(CAES), the Oregon nonprofit, have filed a lawsuit against the Bureau of Land Management and the USDA Forest Service asking for an injunction on their intent to impound unauthorized livestock in conjunction with the Fort McDermitt Tribal Council on and in the vicinity of the Humboltd-Toiyabe National Forest. The coalition hopes to prevent wild horses from loosing their protections and going to probable slaughter. “This may be the first time that protected mustangs are being auctioned off for alleged slaughter en masse and publicly with the tacit approval & cooperation of federal officials,” explains Anne Novak, executive director for Protect Mustangs. Right now hundreds of wild horses are being fattened up at a Fallon, Nevada auction yard for the sale because the Forest Service allegedly rounded up wild free roaming horses in violation of the 1971 Wild Free Roaming Horses and Burros Act and in violation ofNational Environmental Protection Act (NEPA). “The U.S. Forest Service needs to comply with the Wild Free Roaming Horses and Burros Act as well as NEPA before rounding up hundreds of potentially wild horses–especially when the BLM’s nearby Owyhee gather plan doesn’t authorize this action,” states Jordan Beckett, attorney for Plaintiffs Citizens Against Equine Slaughter and Protect Mustangs. The Judge has not ruled on the complaint filed by Protect Mustangs and Citizens against Equine Slaughter as of this moment. Citizens Against Equine Slaughter is a non-profit organization dedicated to the protection of America’s wild and domestic horses. 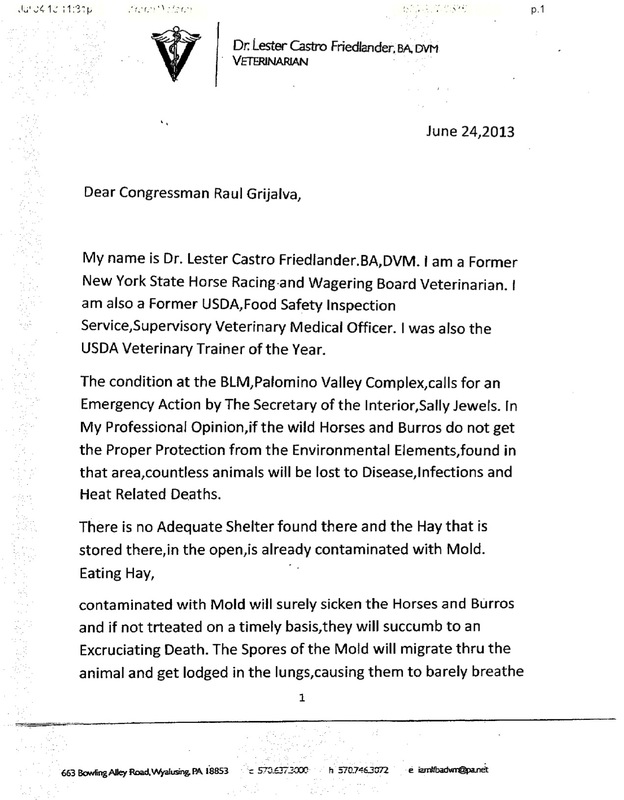 How many wild horses must drop dead in the heat waves before BLM gives them shelter? 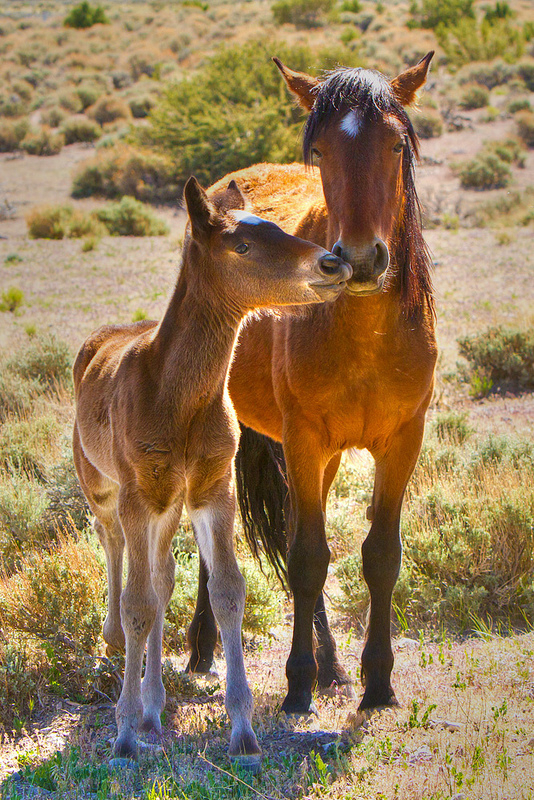 RENO, NV (July 20, 2013)–The public is outraged that the Bureau of Land Management (BLM) does not provide shelter for the captive wild horses and burros at Palomino Valley Center near Reno, Nevada. Nevada State Senator Mark Manendo and Anne Novak, executive director of Protect Mustangs warned on June 9th that wild horses would suffer, get sick and could die from heat related illnesses. They called for shade but the BLM refused to take action. 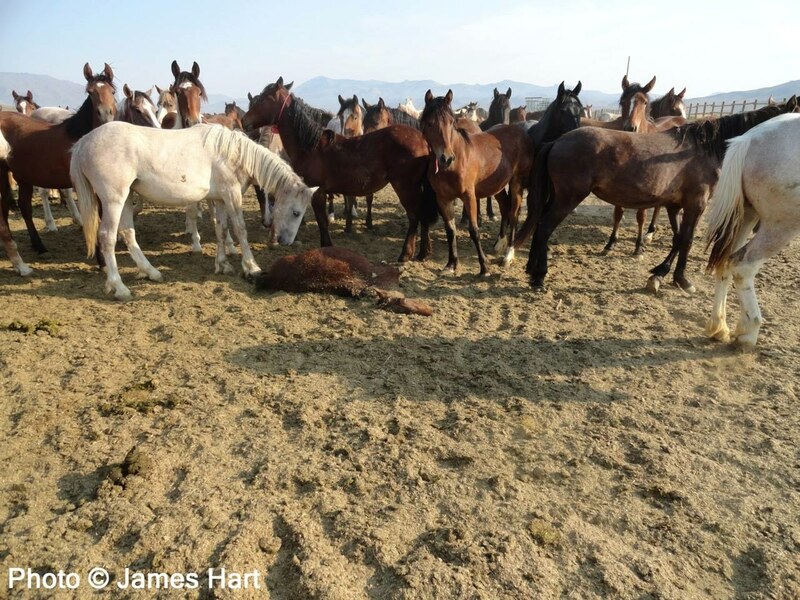 In the morning of July 2nd, the Protect Mustangs investigation discovered a branded young wild horse who died during the heat wave. 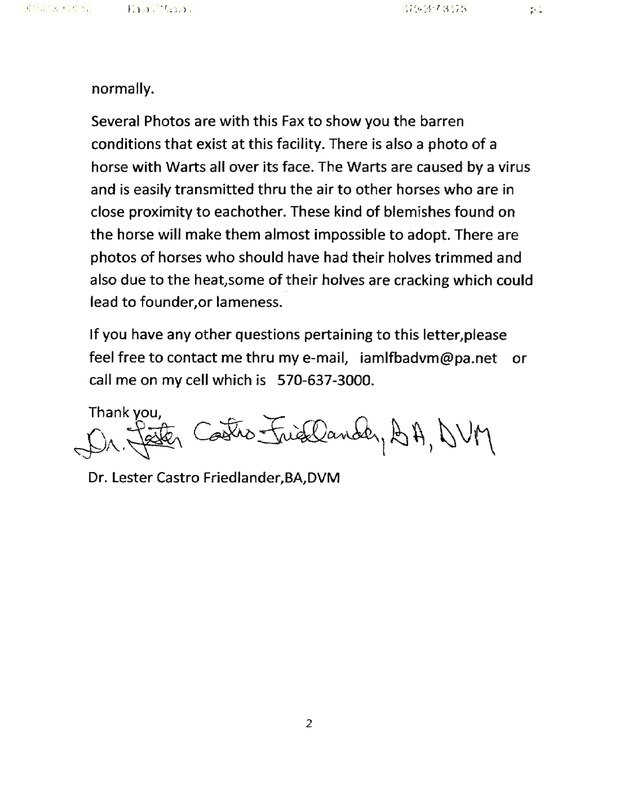 Protect Mustangs documented the incident with video and photographs. They immediately sought help from several senators and representatives and requested Secretary of Interior, Sally Jewell, bring shade to the trapped mustangs. The BLM neglected to perform a necropsy to determine the cause of death for 2 branded young wild horses who died during the last heat wave, on June 30th and July 2nd. Another death on June 28th could have been due to exposure to high temperatures without access to shade. The wild yearling had a respiratory illness known as strangles that is often occurring at the holding facility. According to the BLM, the wild horse’s death was attributed to strangles but the factor causing death could have been that she was forced to stand in the triple-digit temperatures which aggrivated her condition–ultimately causing her death. All the branded mustangs that were recorded to have died were female: one was a 3 year old and the others were yearlings. Currently the deaths of all young unbranded wild horses and burros are not counted at the BLM facilities. The BLM’s lack of accountability is raising concern amongst elected officials and members of the public. Despite the BLM’s lack of transparency, today protestors gathered in Carson City to demand shelter for the wild horses and burros captive in pens. Due to public outcry from wild horse advocates and groups, the BLM announced it is consulting PhD.s from UC Davis to determine if wild horses prefer shade and to determine the environmental conditions at Palomino Valley Center. The BLM is also as holding an open forum requesting public input on how the BLM can best care for the horses at Palomino Valley. Still no emergency shade has been brought in. Another heat wave is hitting Reno this weekend but the BLM still clings to the belief that it’s OK to treat native wild horses and burros like something on a feedlot waiting to be slaughtered. The public is encouraged to meet with their elected officials around the country and ask for them to intervene to bring emergency shade to the captive wild horses. So, I am listing a response to the specific questions you submitted to Jeb below:1. How many unbranded foals, etc. have died from June 27 to July? Jeb has already provided you a response to this, but at this time no records are kept on unbranded animals that die. 3. For the listed time period, what were the dates of any deaths, how old were the horses and what were their id #s?